Dedicated towards improving livelihoods of the poor people. Dr Qazi Kholiquz zamanAhman (Chairman, PKSF), Mrs Kholiquz zaman and Upazila Chairman (Kamarkhanda). 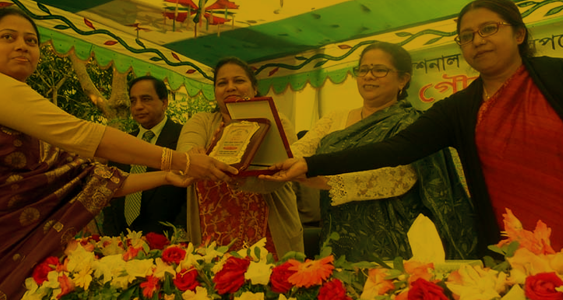 (Vice Chancellor of Sher E Bangla Agriculture University) as recognition for education and social development contribution. At the end of 1988, the devastating flood engulfed large landscape of the country causing huge damage of lives and properties, occurred massive damage on Sirajganj District, which situated on the bank of the most treacherous river Jamuna. National Development Programme- NDP” (dedicated towards improving livelihoods of the poor people) is a national non-government, non-political and non-profit organization of Northern Bangladesh was established in 1992. A group of enlightened local youth of Sirajganj district voluntarily organized it. 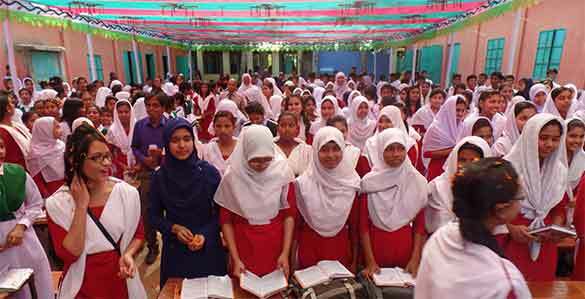 Presently, NDP has been implementing 32 different programmes/projects in 8 districts (Sirajganj, Bogura, Natore, Pabna, Rajshahi, Rangpur, Tangail and Jamalpur) under Rajshahi, Rangpurand Dhaka divisions in the northern region of Bangladesh. 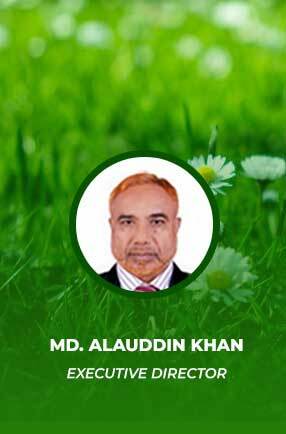 The organizational main agenda are environmental management, secure livelihoods, health and education, human rights and good governance, gender equality and women empowerment for vulnerable community.